Turks always most welcoming, gracious hosts to visitors marking World War I Anzac history, says official. Remarks by Turkey’s president about battles fought on Turkish soil during World War I have unfortunately been taken out of context, said a top aide to the president on Wednesday. 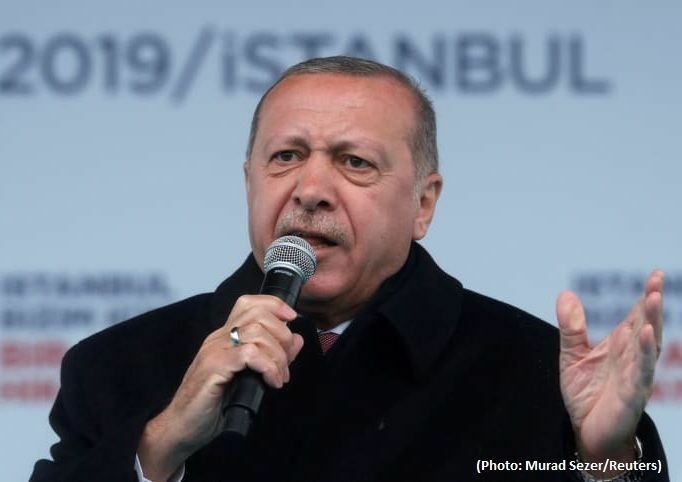 In his remarks on Monday, President Recep Tayyip Erdogan “was responding to the so-called ‘manifesto’ of the terrorist who killed 50 innocent Muslims in Christchurch, New Zealand” last Friday, Fahrettin Altun, Turkey's presidential communications director, said on Twitter. “Turks have always been the most welcoming and gracious hosts to their Anzac visitors,” he added, referring to troops from Australia and New Zealand who fought in the Battle of Canakkale (Gallipoli) in 1915-1916. Many Anzac troops and their descendants make pilgrimages to Turkey on Anzac Day, April 25, to mark the soldiers’ sacrifices and the friendship between nations that developed in the decades since. Altun said the terrorist’s manifesto not only targeted Erdogan himself but also the Turkish people and the Turkish state, referring to anti-Turkish statements in the manifesto. As Erdogan “was giving the speech at the Canakkale (Gallipoli) commemoration, he framed his remarks in a historical context of attacks against Turkey, past and present," he added. Australian-born terrorist Brenton Tarrant, 28, is facing charges over the massacre. On Monday, during ceremonies marking the 104th anniversary of Canakkale Naval Victory Day, Erdogan said: "They [those attacking us] are still testing the patience and resolve of Turkey even though a century has gone by." "Your ancestors came and saw us here," he said. "Then some left on their feet, some in coffins. "If you come here with same intentions [to invade our land], we will be waiting and have no doubt we will see you off like your ancestors," said Erdogan, stressing Turkey’s resolve to always protect its sovereignty.